Question– Are there tests that allow doctors to see the injuries to a person’s brain after a head injury? What if all of the scans are negative? Are there any psychological tests that are available? Can these tests help legally as well as medically? Answer – Yes, some tests allow someone to see a brain problem including a neurological disorder, and cognitive disorder. These tests can be very helpful in helping your doctor come up with an idea of what’s wrong with your head. They can also contribute to dealing with insurance companies who sometimes say that the reason injured people are hurt for so long is that they are making it look worse than it really is or are just looking for money. A traumatic brain injury is also known as a TBI. The most common causes of a brain injury include an open head injury, a closed head injury, hypoxia, tumors, and deceleration injuries. A traumatic brain injury occurs when an external element causes a brain dysfunction. A traumatic brain injury can cause an assortment of different symptoms that include both physical and psychological effects. Some physical symptoms you may experience are the loss of consciousness, no loss of consciousness but you experience confusion or disorientation, a headache, nausea and vomiting, fatigue or drowsiness, difficulty sleeping or increased sleeping times, and dizziness and loss of balance. Sensory symptoms that can occur during a traumatic brain injury can include blurred vision, ringing in the ears, a bad taste in the mouth, and sensitivity to light and sound. Cognitive or mental symptoms are displays as persistent headaches that will not go away, weakness or numbness in your fingers and toes, loss of coordination, clear fluids are draining from your nose or ears, the inability to wake from sleep, the dilation of one or both or your pupils, and convulsions and seizures. If you have been in an accident and have received any kind of blow or other force to the head, it is imperative that you seek the help of a medical professional immediately to assess your situation and determine the severity of your injury. A traumatic brain injury can be considered mild, moderate, or severe, and you may experience any and all the previously discussed symptoms depending on the severity of the injury. Some symptoms may not be evident immediately following the accident; rather they may not become apparent for several days to a few weeks following the accident. The CT Scan is a test that makes pictures of different thickness of the brain. It allows pictures to be made of the brain inside the skull. It is sometimes called a CAT scan, which stands for computerized axial tomography. An MRI, or magnetic resonance imaging, is newer than the CT scan. It makes pictures of what the brain looks like. It has clearer pictures than the CT scan and can show smaller injuries or changes in the brain. Sometimes one of the CT or MRI scans can show the brain is hurt when the other does not. CT and MRI scans are often unhelpful in proving mild brain injuries. SPECT stands for single photon emission computer tomography. The SPECT scan tests for how well the various parts of the brain are working. A recent research study showed that some head injuries that are diagnosed as “not very bad,” can be seen on the SPECT scan to be worse than they appear, even when the CT scans or MRI scans are normal. Some B.C. doctors don’t agree that the SPECT scan is a good or reliable test. It hasn’t been decided whether or not they will be used as evidence in courtroom cases. A psychologist who specializes in helping people with brain injuries performs the neuropsychological testing. The psychologist may see problems with the patient that other people can’t see with the help of a couple of tests. They will closely watch the patient and talk with friends and relatives of the patient. Neuropsychological testing may be helpful in showing that there is a brain injury for legal as well as medical reasons. Neuropsychological testing is necessary because X-rays, CT, MRI scans, SPECT scans, and even an exam by a neurologist may show no problems. Neuropsychological testing, which is testing the brain, does not have any limits. Some small mental problems may be missed in the doctor’s evaluation, but may be apparent by how the patient functions every day; this is because neuropsychological testing isn’t always like real life. For example, the testing is done in a planned, quiet place with tests that are often no longer than 15 minutes long which is different than real life. Real life can often be wild, have interruptions (like being noisy, busy, or confusing) and make patients do activities for extended periods of time. Psychologists need to have talks with the patient’s friends, relatives, and maybe even people the patient works with about how good the patient does every day in real life situations. Neuropsychological therapy, which deals with looking at how a patient lives every day, can often go together with the psychologist’s evaluation. Cognitive disorders typically affect learning, memory, perception, and problem-solving, and these disorders commonly occur following a traumatic brain injury or some other damage to the memory portions of the brain. Cognitive disorders do not just affect the person that sustained the injuries; they can also affect their friends and family and those around them. With these disorders come a higher level of other problems associated with the injury and it can seriously affect the person’s quality of life. Cognitive rehabilitation will be needed following the injury to help treat the impairments, communicative skills, and other functions. It is especially important if the person wants to live an independent lifestyle. Psychotherapy is also part of this treatment and can even involve members of the family so that they can work together and provide better assistance while adjusting to a disability that may be permanent. Neurocognitive disorders can be mild and will most likely not present any dementia-related symptoms. However, they can still experience a dramatic change in their mental health which can continue to become worse as time goes on. Any mild, moderate, or severe traumatic brain injuries can cause neurocognitive disorders. People with traumatic brain injuries that are displaying neurocognitive disorders also have an improved risk of developing Alzheimer disease and other dementia-related problems. A major neurocognitive disorder can accompany a decline in learning, memory, language, and even perceptual motor and social skills. Major cases may also mean that more assistance is required for everyday activities and to help manage medication. Alzheimer disease is also called senile dementia. People may not display symptoms right away, but toxic changes are still occurring within the brain. Alzheimer disease can occur years following the accident in which the traumatic brain injury occurred. However, not everyone that incurred a head injury will develop dementia-related problems or Alzheimer disease. They are, however, two to three times more likely to exhibit symptoms if they experienced a moderate traumatic brain injury, and if there is a history of a more severe case of traumatic brain injury then the risk can increase to five times more. If you have suffered a traumatic brain injury due to the fault of someone else, then you may have the opportunity to file a claim and recover some of your losses due to the accident. In the matter of a traumatic brain injury, you should seek legal counsel that is experienced with traumatic brain injury cases. Brain injury lawyers specialize in more than just personal injury law so they are better equipped to handle a complex case concerning a traumatic brain injury. Traumatic brain injury cases require a lot of documentation, evidence, and other proof in order to prove the claim. The brain injury lawyer will have to carefully prepare the case and adequately prove that the traumatic brain injury occurred due to the accident which can cause a set of challenges for the lawyer. A brain injury can last a person for their lifetime, rather than a few months to a year. There can also be instances of decline over the person’s lifetime due to the injury. The insurance company is going to require the results of the tests done when determining if the injury was a traumatic brain injury. The insurance company will want proof that the injury is not a preexisting condition or being faked for monetary gain. The family of the injured person should immediately seek legal counsel in the event of a traumatic brain injury so that the fault can be proven quickly and efficiently. There may be fights with the insurance companies involved, and they will try to prove that your claim is not a valid claim which is why the documentation and evidence are going to be necessary for your case. How many traumatic brain injury cases have you been involved with and how many of those cases were successful? What percentage of the practice is devoted to this type of case? Will this law firm handle my case directly, or will I be referred to another law firm? Are you up to date on information relating to traumatic brain injuries? You will want to research the credibility and reputation of the law firm and the brain injury lawyer to make sure that they are in fact experienced with this type of case so that you can be ensured to receive proper representation. What is the Brain Injury Association? The Brain Injury Association is dedicated to increasing and improving access to quality healthcare while also raising awareness and understanding of what a traumatic brain injury involves. If you have sustained a brain injury, it is important that you have continued access to the healthcare professionals, specialized care, rehabilitation services, and other resources you will need as you try to lead a healthier life following your injury. 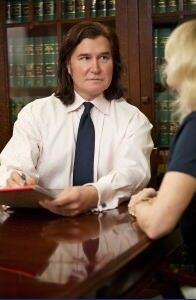 It is important that you seek the help of an experienced brain injury lawyer to help you throughout the process.